After years of speculation and rumors, it seems that the highly-anticipated Ghostbusters reboot/sequel is finally moving forward, with Ruben Fleischer currently circling the project as his next directorial effort. 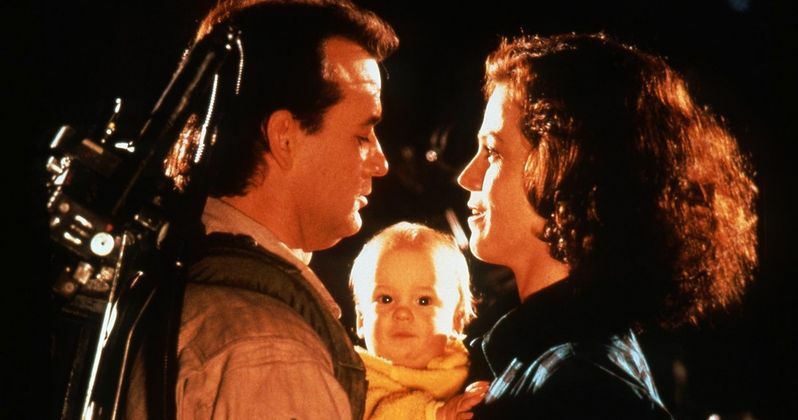 It has long been reported that the story will feature cameos from original Ghostbusters stars Dan Aykroyd and Ernie Hudson, who will help usher in a new generation of Ghostbusters. In a recent interview, Sigourney Weaver claims that she will only return as Dana Barrett if her son Oscar from Ghostbusters 2 is one of the new Ghostbusters. Here's what she had to say to Vanity Fair about her conversation with director Ivan Reitman, who had already implemented that idea into the story. "I said, I have one condition. I want my son Oscar [from Ghostbusters 2] to be a Ghostbuster, and he said, 'We've already done that.'" Sony Pictures production president Doug Belgrad also issued a brief statement in regards to the progress of Ghostbusters. "We are currently working hard to re-create the magic of the original in order to bring a new Ghostbusters adventure to life." Etan Cohen, who came aboard to rewrite the script in June 2010, revealed he is still working on the story with Ivan Reitman and Dan Aykroyd. (We are)together for hours every week, working on it really closely. No one can speak the language of Ghostbusters like (Dan Aykroyd) can." Since Bill Murray is no longer attached to star in the project, the writer was asked if the movie could still succeed without his involvement. Here's what he had to say in response. "Absolutely everyone wants Bill Murray. But everyone has great faith in the franchise." Although the story is still being worked on, that didn't stop cast members Rick Moranis and Ernie Hudson from speculating about what their characters Louis Tully and Winston Zeddmore are doing now. Rick Moranis believes that Louis is in prison, alongside an infamous cellmate. "He's in prison, a cellmate of Bernie Madoff's. They compete to see who can make their bed first in the morning." Ernie Hudson, on the other hand, thinks Winston has taken over the entire Ghostbusters company. "(He would be) the C.E.O. of the Ghostbusters franchise. I just hope that he wouldn't be on a walker or [in] a wheelchair." Before Ruben Fleischer was circling the project, Sony offered the movie to The Lego Movie directors Phil Lord and Chris Miller, although they passed in April. When asked by ScreenCrush why they turned down the job, the filmmakers had this to say. "Right now, we're just super tired and we want to take a break. We're doing a TV show with Will Forte. So, we don't really know what we're gonna do next, we just know we can't jump into another movie like that right away."